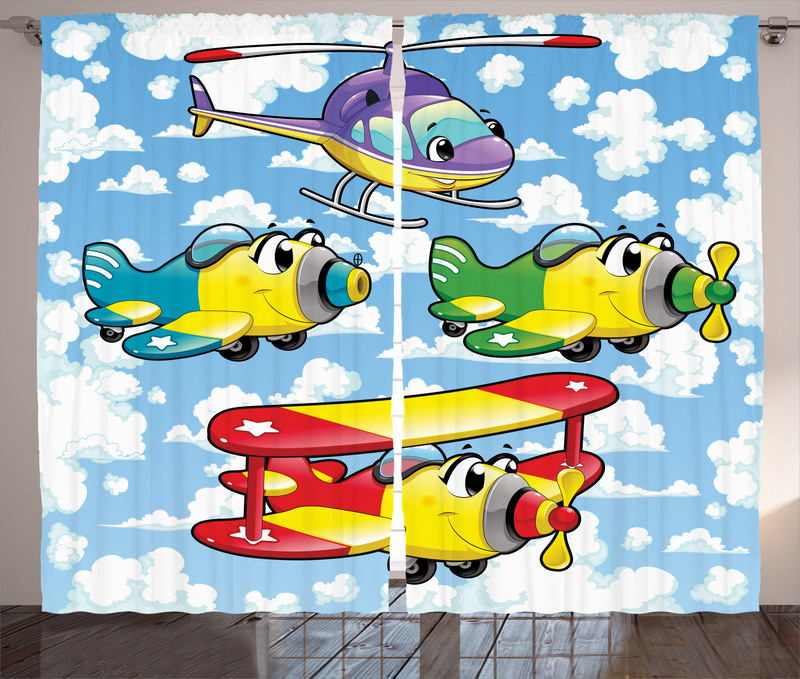 Kids Cute Airplanes Sky Curtain by Ambesonne offers you all the elements to create a magical atmosphere in your home. 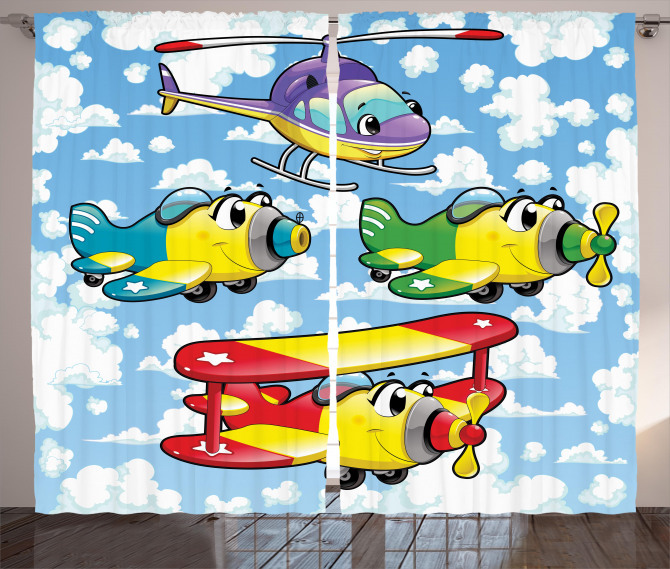 Cartoon curtains with 3D like realistic motifs, are available from 108x84 to 108x108 sizes with its unique Multicolor color. Cartoon inspired product with its 2 curtain panels will provide an elegant look into your home decoration and it will cost only $74.90.